Would You Pay More For Amazon Prime? Yesterday, in its earnings call, Amazon said it was considering raising the price of a $79/year Prime subscription by $20 or $40. Are you willing to pay more? How much more? Prime is a very good deal. You get free—and sometimes one-day—shipping on thousands of products, and it includes streaming video for plenty of movies and TV shows. 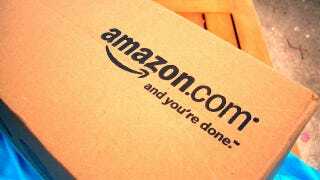 But that little bit extra obviously comes at a price, and Amazon said it has taken a hit from rising shipping costs. That said, just how much will you throw down for Amazon Prime?